Selous game reserve is found in southern Tanzania. It is one of the world’s largest fauna reserves and was named after Sir Frederick Selous a renowned game hunter and conservationist. Our 3 day safari package to Selous game reserves is packed with activity and gives you the opportunity to experience the beauty of so much that the game reserve has to offer in just few days. Starting point for this safari is Dar es Salaam, the capital of Tanzania. On day one you will arrive in Dar, clear with immigration and start your journey to Selous. The drive to Selous is quite an adventure all on its own. There is a lot to see. You will enjoy the trip. We provide comfortable safari vehicles so you will enjoy your ride even on the sometimes less than even roads. 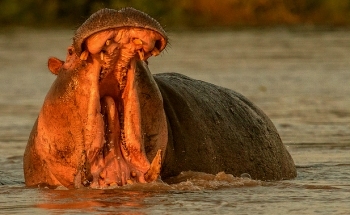 On arrival at Selous, the first activity is a boat ride on River Rufiji where you will see numerous hippos, crocodiles, observe a few primates close to the river banks, and see several birds as well. All of that on day one. The boat ride gives you the opportunity to see some of the amazing scenery that many who visit Selous talk and write about. You will spend the night at a lodge of your choice in the Selous area, as you rest and get ready for day two. Day two starts off with an early breakfast. You will need to be well fed before all the excitement of thr day sets in. after a sumptuous breakfast it’s off to the reserve to see some game. The game drive will take you across selous and you will animals such as baboons, impalas, zebras, warthogs, lions, leopards, hippos, giraffes, mongooses, and so much more. Remember to pack your lunch, you can enjoy a nice picnic lunch surrounded by nature. There is still more to see after lunch. Selous game reserve has a number of lakes within its area. After lunch you will visit about 3 of these lakes. At the lakes you will see animals such as hippos and crocodiles, and others drinking water, bathing or just resting. If you are a birder, you will enjoy seeing a variety of water birds on and around the lake. After such a long day, you will head back to the lodge for a much needed dinner and rest. On day 3, before you leave the reserve and head back to dare s salaam and then home or to your next adventure, there is still one more activity you should enjoy. A walking safari in the Selous forest. After you breakfast, gear up and start your walk through the forest. You will be accompanied by an experienced, armed ranger, a bushman, and some ancient inhabitants of the area. These walks are fun and educational. You learn a lot about the history of Selous from your companions, and see some exotic plants. 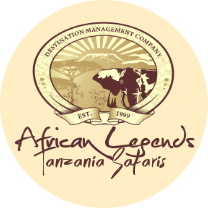 After the safari walk, you will be led out of the forest and back to your lodge, where you can check out and head back to Dar es Salaam.